Since the mini cheesecake post is such a hit I figured that making an autumnal version would be a hit for this time of year. At least I know it was well received with the contractors I work with. I brought dozen over for them (in addition to some peanut butter and jelly cookies) and I heard they went quickly at an afternoon meeting. Preheat the oven to 350F. 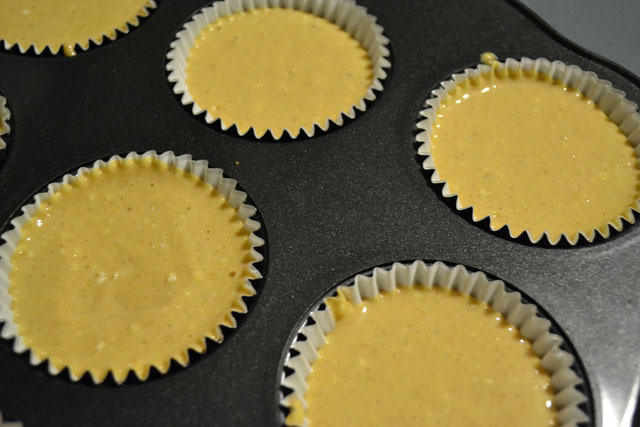 Line 18 cups of 2 muffin tins with liners. 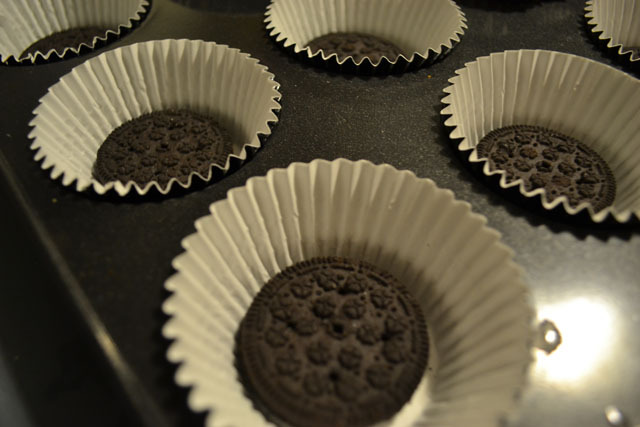 Place 1 whole Oreo cookie at the bottom of the liner. 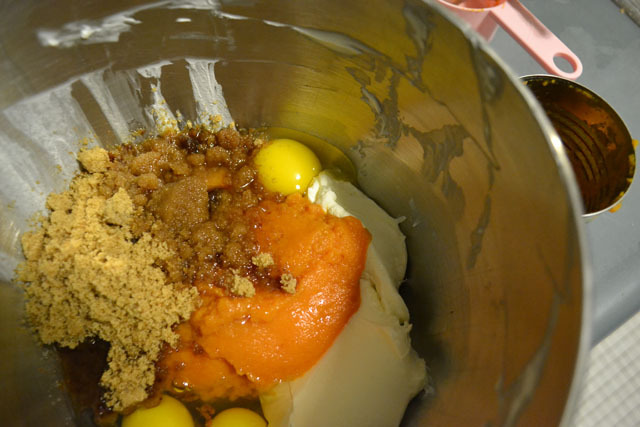 Combine the softened cream cheese, pumpkin puree, brown sugar, vanilla extract, and pumpkin spice. Beat until completely smooth. Fold in the eggs. Divide evenly among the liners. Bake for 15-18 minutes, or until the centers are just set. Cool completely before serving. WOW, how did I never think of something so delicious AND simple????? LOVE this!!!!! I love that you used whole Oreos as the crust! It seems like most recipes call for crushed ones. I wanna try these soon! I have to try this with other cookies now too! There oughta be a special award for someone who uses whole Oreo cookies for a crust. Sounds yummlicious. I had deep fried Oreos at Coney Island this past summer. Amazing stuff. Awful glad I found you on the NaBloPoMo blogroll – happy posting & baking. Such a great idea! 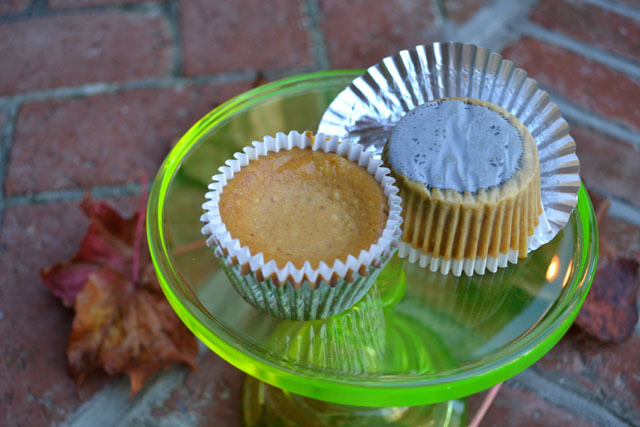 I’ve made the plain version of these in the past, and pumpkin sounds so good to me! I’m obsessed with all things pumpkiny this time of year. This looks so yummy! 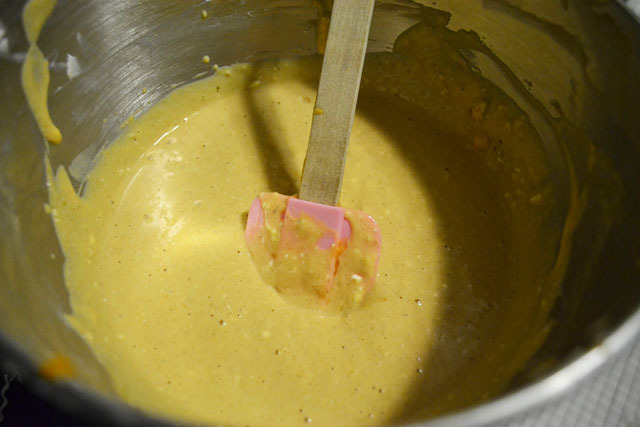 Thanks for sharing the recipe -I’m definitely going to try this. I made these last night and tried them this morning…holy AMAZING! I can’t believe how good they are! Thanks so much for sharing! aww thank you for your sweet feedback!